Set your family up for financial success with a budget. Many people think they know how much money they bring in and spend each month, but they may be making mistakes in their estimations. In a study of college students, participants were underestimating their monthly expenses by 40 percent, according to U.S. News. 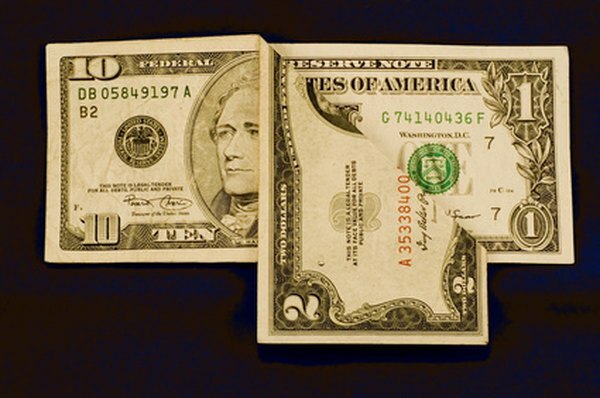 In order to avoid the debt trap, you should plan a budget to help you live within your means. This can help you plan for retirement, avoid bankruptcy and reach your financial goals. A budget is a financial tracking method that allows you to monitor your income and allocate it towards expenses. Before you can make a realistic budget, you need to know how much money you make, and where that money goes each month. Use this information to evaluate your spending habits and your financial goals. Once you create your budget, you'll need to track your spending on a regular basis to ensure you're sticking to your financial plan. Your personal values will play a role in your family budget, according to the University of Illinois Extension. Things like your religious beliefs, and your philosophy on saving money, will determine the percentage of your income that you plan for certain expenses. A person with religious values may set aside 10 percent of the budget as a tithe, while a person who values saving may set that 10 percent aside for retirement or purchasing a house. Expenses typically fall into one of two categories: fixed or variable. Fixed expenses include those bills that are the same from month to month. This category can include such things as a fixed-rate mortgage payment or rent, utilities, childcare, insurance and car payments, according to the Federal Home Loan Mortgage Corporation, better known as Freddie Mac. While some of these may vary, they are regular expenses you will pay on a monthly basis, and they will usually average out to a set amount each month. Variable expenses are costs that vary from month to month, and include food expenses, medical bills, entertainment costs, clothing purchases, donations and personal expenses, such as haircuts or manicures. There may be months in which you don't spend money on these items. Your personal budget should depend on your income, according to Consumer Credit Counseling Services. After all, the point of a budget is to live within your financial means. Make sure you factor in your net income, which is the amount you bring home after your employer deducts taxes, insurance and other expenses from your paycheck. Combine the net income for both partners. Where you are in life can affect your budget guidelines. 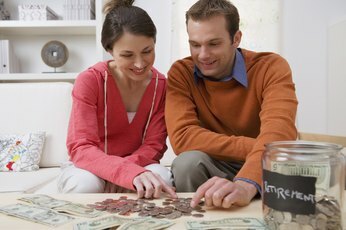 Young couples without children may budget more money for housing, cars, savings or entertainment expenses. As you add children to your family, they will take up a larger percentage of the budget. On average, a couple can spend $537 per month on food, while a family of four would need over $750, according to the Internal Revenue Service (IRS). Kids also need expenses for school and extra-curricular activities. You can track your budget in a variety of ways. 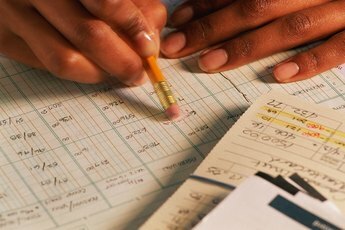 Some people enter information into a spreadsheet, but others use budgeting software, which may connect directly to their banking information. While many people set up a monthly budget, you might find it easier to set up an annual budget, and then create a monthly budget from it. Use whichever tracking method works best for you and your family.